The campaign aims to help improve the health of the area's 2.8 million residents. 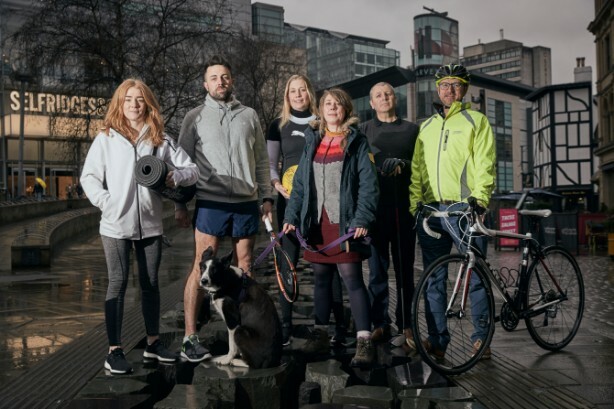 GM Moving is working with a quartet of Manchester-based agencies to develop an integrated behaviour-change campaign that aims to get 75 per cent of people living in the region active, and increase participation in physical activity and sport. The four consultancies, which have working relationships spanning 20 years, are creative agency Access; strategic PR and social media company Intelligent Conversation; brand and planning consultancy Planning Express; and media-buying agency Republic of Media. The £500,000, two-year project was awarded after a two-stage competitive pitch process, plus audience testing of the initial messaging and creative. Following an insights phase by GM Moving, the partnership will deliver creative concept, artwork, media buying, social media management and PR, at both a regional and community level. Access managing director Simon Landi said the team of agencies were passionate and proud to deliver such an important campaign on their home turf. Helen-Louise Smith, marketing communications manager at GM Moving, added: "From an initial 27-agency list, we saw five at pitch stage, but it was this four-way collaboration and the creative put forward by them that absolutely hooked us. Simple, clear and effective, the partnership team not only understands Greater Manchester and what makes our inactive audiences tick, but the passion and experience of the team members was what really stood them apart."